Face masks that include banana keep your skin super soft and smooth and they are the perfect homemade beauty treatment for persons who have dry, oily, and sensitive skin. Bananas are perfect for the skin. This fruit is full of vitamins and minerals, so it’s no surprise that the face mask made of it is particularly popular as a skin problems corrector. It’s also said that the banana face mask is a natural Botox to treat wrinkles or fine lines. BENEFITS OF BANANA FACE MASK. BANANA FACE MASK FOR SCARS AND ACNE. BANANA FACE MASK FOR WRINKLES AND FINE LINES. 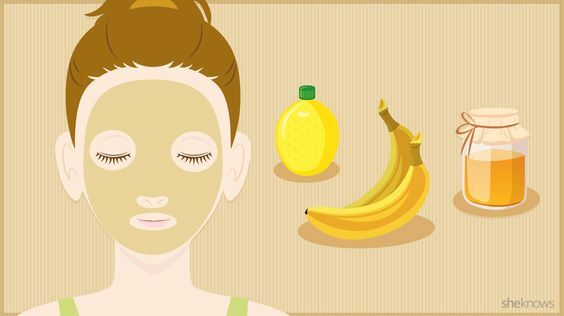 BANANA FACE MASK FOR BRIGHT SKIN.